The Man Lion’s City is a public bus range that was introduced in 1996. The low floor, low entry design was mainly targeted at European markets. In 2004, the brands public bus models were brought together into one range, becoming Lion’s City. typically, the models are built either in Poland, Germany or Turkey. The range as a whole is highly economical, with a wide variety of petrol, diesel and hybrid engines available. For the diesel options, the range offers two engines with different power outputs, both in accordance with Euro 6. In all, the Man Lion’s City range offers highly efficient public bus models that deliver a smooth drive through rush hour traffic. 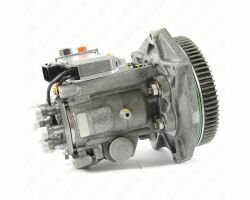 Diesel Fuel Pumps for all Man in stock waiting to ship today.